St. Roch, a subdistrict of the Bywater neighborhood, stands as a major representative area of New Orleans’ working class families for decades. With a varied history that begins with the trading routes and cultural immersion of New Orleans’ history, the district has seen a variety of changes in recent years. Our exploration of the neighborhood will give us insight into the changing demographics of the neighborhood and the future of this culturally proud, up-and-coming area. Originally named Faubourg Franklin, New Orleans’ St. Roch neighborhood was created as a neighborhood along the trading routes of NOLA’s waterways. In 1830, the area began to develop as the Pontchartrain Railroad connected the Milneburg settlement with the Faubourg Marginay to the shores of Lake Pontchartrain. 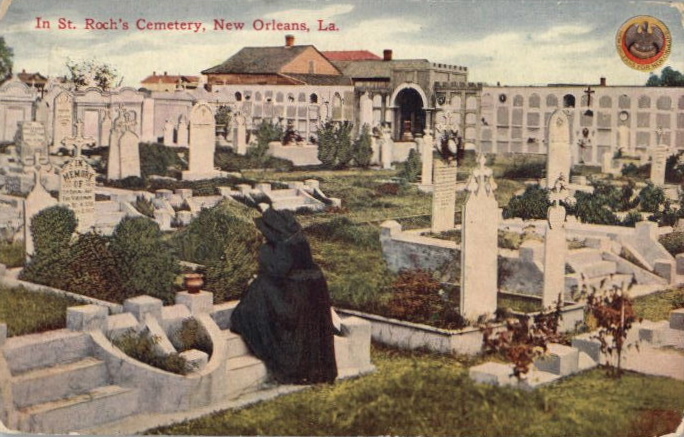 In 1867, St. Roch got its name after the German priest, Rev. Peter Leonard Thevis, who arrived in New Orleans and built the St. Roch chapel there after his prayers were met that no one in the parish would die during the Yellow Fever epidemic. Many religious followers thought this brought healing to the neighborhood. Before the Civil War, the neighborhood was one of the first to host a proud inclusion of the country’s largest populations of free people of color. Later, in the 20th century, St. Roch had grown in size with new technological advances like sewer and water services added to the area. In the late 1920s, the neighborhood was considered a tranquil and low-key part of New Orleans. It was also known as a predominantly racially mixed residential section. Many black and Creole families living in the area also led to the establishment of many private and parochial schools. Although considered beautiful and peaceful throughout its past history, St. Roch was also known for its recreational offerings. Baseball fields, its historic blacksmith shops, small farms, and dairies dotted the area. In recent years, the St. Roch neighborhood has become known as the “New Marginay” for the restoration and demographic shifts in the neighborhood, now largely African American because of the construction of the I-10 splitting up the neighborhood. After Hurricane Katrina, many of the houses and landmarks were heavily damaged and many of the local residents moved out. However, numerous revitalization efforts were spearheaded to clean up and rebuild much of the neighborhood. St. Roch CDC has helped to restore several historic houses and office buildings in the area. With landscapers planting trees and new plants in the area, the neighborhood has attempted to revert back to its original state. Today, revitalization efforts are helping to rebuild the area back to its glory and its slowly drawing new residents and visitors to experience the historical glory and beauty of a district that showcases the spirit and historical diversity of New Orleans.